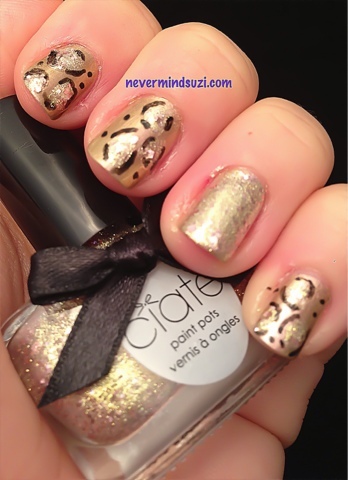 I love leopard print its probably my signature mani. I've used some gorgeous polishes I got from my lovely friend Kate for my birthday. You can just see the subtle flecks of rose gold in Antique Brooch. 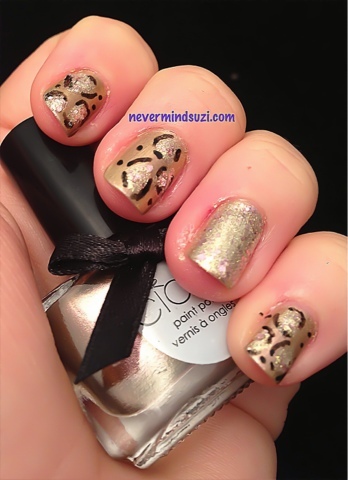 The color you used for the center of the leopard spots is beautiful! Is that Antique Brooch? It is yes, isn't it gorgeous! !